Only a couple of my own Top 10 problematic cases made the Judicial Power Project Top 50. So is it the judges who are problematic or the critics or just me? For all the fun of this list, it is salutary to wonder if our praise or criticism of a judgment or judge tells others as much or more about our own perspectives as about judicial power. Do we simply have a problem with judges who see the world from a different vantage-point and do we reserve praise for those who see the world from our own point of view? If so, why should judges or the public care about this exercise? It is worthwhile, in my opinion, if it encourages a typology of ‘problematic’ (and ideally, in a future challenge, ‘paradigmatic’) cases, connecting to the Rule of Law and contrasting judicial with legislative approaches to development of the law. The Rule of Law paradigm for judges is deciding in the context of cases, after arguments, giving reasons, without ‘fear or favour, affection or ill will’. Elected politicians, in contrast, have the power of initiative and are not bound in quite the same ways to pay attention to arguments or give reasons or behave impartially, given that they are instead subject to being voted in and out of office. There is, of course, an overlap where both have constraints and both contribute to the development of the law. and not give way to them however provoked. till the whole business and both parties be heard. myself unprejudiced till the whole be heard. rich in point of justice. thing I do in point of distribution of justice. The Judicial Power Project covers both private law and public law. In the latter, it is points 8, 9 and 10 in my typology which explain why some familiar cases from administrative law appear in this Top 50. As Roberts v Hopwood, Secretary of State for Education v Tameside and Bromley v GLC all feature, many commentators might still believe that judges are motivated by politics and that elected Labour politicians were defeated by unelected (presumed to be conservative or even Conservative-leaning) judges. In particular, the Labour governments of the 1960s and 1970s acted on a mandate to promote comprehensive schools and the Labour GLC of the 1980s had a mandate to reduce fares on the underground. These cases do go to the heart of the constitutional questions posed by the Judicial Power Project, the role of unelected judges as against politicians elected on a manifesto. But are the Tameside and GLC cases problematic so much as misunderstood? It is in some senses refreshing to see them on this list, challenging any idea that the Judicial Power Project would only have asked those who rather like squashing what Lord Atkinson in the 1920s infamously called in Roberts v Hopwood ‘eccentric principles of socialistic philanthropy and feminist ambition’. In an era of equal pay by law, if not always in practice, and of a minimum wage and now a living wage, those Poplar Borough pioneers in Roberts v Hopwood are heroes and the judges who refused to intervene in the auditor’s procedures are villains. Likewise, Tameside and GLC remain topical in that the current Westminster government is seeking to take all schools out of local authority control while the deputy leader of that radical GLC approach to economics and politics, John McDonnell, has become the Shadow Chancellor. On the other hand, have those nominating Tameside and GLC read those cases recently or attempted to reconcile them, as I tried to do in my first case note ‘Mandate & Manifesto’ (1983/4) 33 King’s Counsel 39? Subsequently, holding politicians to their manifesto promises has become more of a problem than challenging their insistence on sticking to manifesto pledges, as for instance with university fees. In both Tameside and GLC, however, there were two layers of government involved, not just unelected judges v elected politicians but elected politicians disagreeing with one another. Moreover, they were disagreeing about what they were entitled to do under statutory regimes determined by elected politicians. Admittedly, the unelected judges were developing judicial review of administrative action but whichever way they had decided Tameside or GLC, elected politicians would have both won and lost. Here are three games I play with students which might give pause for thought before nominating problematic cases. The first is to check whether we have read the cases recently or at all. The second is to sift through a generalised objection to identify whether they really are problematic. The third is to ask whether some renowned critic had correctly predicted the outcome or what they thought of the case at the time. So first, to indicate whether students have read these cases from the beginning in the law reports, I ask if they can name any counsel in Tameside and what became of them. As we approach the 40th anniversary of the case this summer, even today’s students have heard, for example, of Tom Bingham and Harry Woolf for the Secretary of State and of Leon Brittan among counsel for Tameside. Third, I ask who wrote this about the GLC case and where was it published? This was none other than the doyen of the legal Left, Professor John Griffith, author of The Politics of the Judiciary, writing in Marxism Today in February 1982. He had earlier wrongly predicted in New Society that the Law Lords would overturn the Court of Appeal. Nowadays, it might be the political Right who react to judges in a Thurber-like frenzy but the same stricture applies, that we need to delve more deeply into case-law, politics and our constitution before jumping to conclusions. The Judicial Power Project deserves credit, therefore, for challenging all of us to reflect on our own roles. What next? Although it would be enjoyable to see judges react with an Academic Power Top 50 of the most arrogant or arid articles or blogs of all time, a more constructive next step might be to list some paradigmatic cases or heroic judges. After all, John Finnis’s explosive lecture on Judicial Power gave us not only his selection of lowlights in problematic cases but also his vision of better approaches to judging. We do not have to agree with his choice of exemplary judges (and, as it happens, I do not agree) to see how this is a natural sequel to critiques. It is salutary to re-examine problematic cases to see how judges could have saved the day. Thus a problematic case might already have a reverse side, a ‘heroic’ judgment, for example Lord Atkin’s dissent challenging the majority kowtowing to the executive in Liversidge v Anderson (a case on my list under my eighth point and thankfully also in the Judicial Power Top 50). Or we could set out how a judge might have dissented, when in fact the others all went along with a much-criticised opinion: see, for example, a compelling analysis of the other case from my list in this Top 50, Doogan v Greater Glasgow Health Board, by Dr Mary Neal (2015) 23 Medical Law Review 668, who uses the word ‘problematic’ to describe the Supreme Court’s single judgment. More broadly, a Top 50 of paradigmatic cases could celebrate occasions where judges have risen to the challenge of resolving a seemingly intractable problem, where elected politicians have not been able to make progress and yet where judges promote the common good without arrogating inappropriate power to themselves. Meanwhile, ‘All Hale’, so to speak, to the Judicial Power Project for encouraging us to argue about problematic cases. This entertaining exercise has already caused me, at least, to reflect on the roots of good judging in what amounts to a radical manifesto of ‘Things Necessary to be Continually had in Remembrance’. 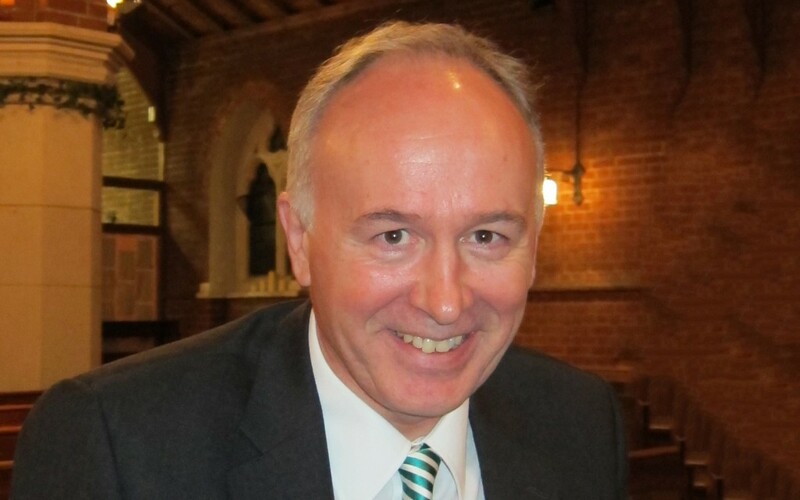 Simon Lee is Professor of Law at the Open University, Emeritus Professor of Jurisprudence at Queen’s University, Belfast, and a Fellow of St Edmund’s College, Cambridge. He was a Brackenbury Scholar at Balliol College, Oxford, and a Harkness Fellow at Yale Law School. He is the author of Judging Judges.